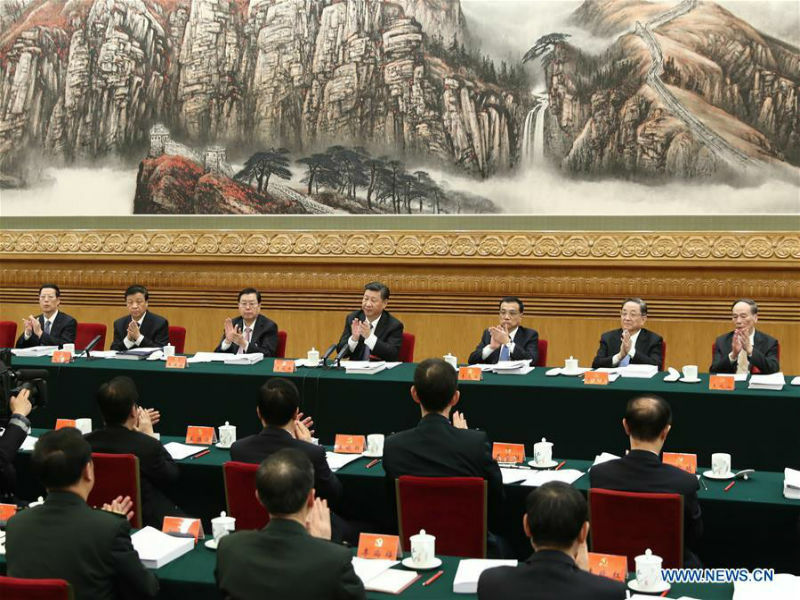 Since the 18th National Congress of the Communist Party of China (CPC), China has maintained a more active attitude towards the promotion of diplomatic concepts and practices with Chinese characteristics. During international interactions, China upholds equity and justice, provides quality public goods globally, shoulders responsibility and makes great contributions. To address major challenges and problems facing global governance, Chinese President Xi Jinping proposed a series of new concepts, including ideas on global governance, security, development, morality and profits, and globalization, with the aim of building a more rational, balanced, and fairer global governance system that benefits all. China upholds the concept of mutual benefits and win-win cooperation, and promotes the long-term goal of creating a community of shared future for mankind through practical actions. Major-country diplomacy with Chinese characteristics has promoted global connectivity. In the 21st Century, connectivity within Asia and the world is multi-dimensional and multi-tiered, featuring transportation infrastructure connectivity, coordination on regulations, policies and standards, and people-to-people exchanges and aiming at the promotion of friendship, mutual trust, and cultural communication. The connectivity proposed by China promotes policy coordination, facility connectivity, unimpeded trade, financial integration and people-to-people bonds. Over the four years since it was launched, China’s Belt and Road Initiative has evolved from a proposal into concrete action, from an idea into fruitful results. It becomes an open and inclusive platform for international cooperation and a widely-welcomed global public good for the global community. More than 100 countries and international organizations support and actively participate into the construction of the Belt and Road. The Belt and Road Initiative has been incorporated into important resolutions adopted by the General Assembly of the United Nations (UN), the UN Security Council, and the UN Human Rights Council. Construction of the Belt and Road has already been credited for preliminary achievements, with a handful of landmark projects already paying off. China has aligned its development strategy with that of many other countries, and infrastructure connectivity has been remarkably improved. In May 2017, China successfully hosted the Belt and Road Forum for International Cooperation which produced fruitful results and greater momentum for joint pursuits under the Initiative. The inspiration behind China’s proposal of the Belt and Road Initiative is the desire to realize common development and prosperity of the countries along the Belt and Road. Based on commitment to creating a community of shared future for mankind, the Initiative emphasizes equal and mutually beneficial practices featuring extensive consultation, joint contribution and shared benefits. The Initiative has generated new vitality and vigor in Eurasia. China has made many important contributions to world peace. China is firmly committed to standing for peace, making peace and keeping the peace in international affairs. It has contributed vision and wisdom to address international flashpoints including the Afghanistan issue, Syria issue, Iran nuclear issue, denuclearization of the Korean Peninsula, Israeli-Palestinian conflict and South Sudan conflict. During the 2014 Ebola outbreak which snowballed into an international public health emergency, China quickly offered a helping hand to Africa. China not only delivered rounds of relief goods and funds to Ebola-stricken countries, but also sent more than 1,000 medical workers and infectious disease specialists to the front lines and established treatment centers in affected areas. These efforts won wide international recognition. China has remained committed to peacefully solving disputes concerning sovereignty, territorial integrity and maritime rights and interests with its neighbors through dialogue and consultation. While firmly safeguarding its sovereignty and legitimate rights and interests, China has actively advocated a “dual track” approach in addressing the South China Sea issue. Namely, the relevant disputes should be resolved peacefully through friendly negotiations between directly involved countries, and peace and stability in the South China Sea should be jointly maintained by China and ASEAN countries. This approach has won understanding and support from most countries in this region. Of the five permanent members of the UN Security Council, China dispatches the most peacekeeping forces. So far, more than 20,000 military personnel, police and civil affairs officials from China have served in UN peacekeeping missions. Chinese President Xi Jinping proposed the establishment of a US$1 billion China-UN Peace and Development Fund to support multilateral cooperation and boost world peace. Furthermore, the country joined the UN peacekeeping standby mechanism and organized a peacekeeping police unit and an 8,000-strong standby force for peacekeeping. China actively participates into the global development agenda and has made many important contributions. In 2015, when attending summits marking the 70th anniversary of the UN, President Xi Jinping announced a series of Chinese measures to efficiently implement the Post-2015 Development Agenda. These efforts include establishing an Assistance Fund for South-South Cooperation, continuing to increase investment in least developed countries, setting up international development centers and exempting outstanding debt due by the end of 2015 from intergovernmental interest-free loans granted to least developed countries, landlocked developing countries and small island developing countries. At the High-level Roundtable on South-South Cooperation co-hosted by China and the UN in 2015, President Xi Jinping announced that in the coming five years, China would provide support for developing countries in fields including poverty reduction, agricultural cooperation, trade, ecological protection, climate change, medical facilities, education and training. China has played an important leadership role in enhancing global cooperation on climate change. After reaching the ground-breaking Joint Announcement on Climate Change with the United States in 2014, China submitted its Intended Nationally Determined Contributions to the Secretariat of the United Nations Framework Convention on Climate Change (UNFCCC) on time. China also announced the establishment of a 20-billion-yuan South-South Climate Cooperation Fund. At the 2015 Paris climate change conference, President Xi outlined China’s position on climate change and global climate governance. Along with other leaders, he made important contributions to the formulation of a comprehensive, balanced, ambitious and binding post-2020 agreement on climate change. In 2016, with President Xi dispatching his special envoy to a high-level signing ceremony for the Paris Agreement, China has played a trailblazing role from Beijing to Paris and then to the UN Headquarters in New York. The author is head of the Department for International and Strategic Studies, China Institute of International Studies.